San Diego has a natural context that most cities would die for gorgeous beaches and endless sunny days on which to enjoy them. For event planners, that poses both a challenge and an opportunity. Pulling invitees away from their picturesque lifestyle and quarantining them in a sterile conference facility won’t make anyone happy. But San Diego’s beachfront properties and sun-soaked event spaces are unlike any event spaces available in other parts of the country. Here are just a few of our favorites. I’m on a boat! 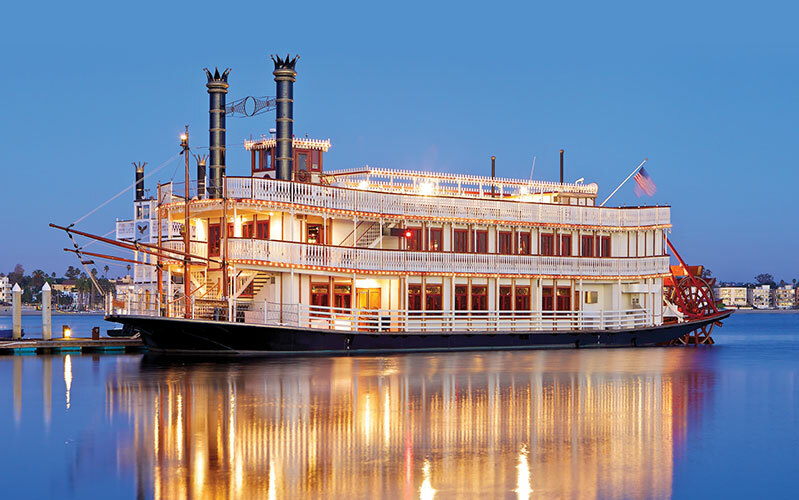 Give your guests a voyage on the open sea when you have your next meeting or party with The Sternwheelers, on a Victorian-style paddle wheeler boat that has a name as epic as its look: the William D. Evans. With capacity for more than 300 guests, hand-carved wood, and original brass and iron finishings, impressing a large crowd is a small task. Located at Liberty Station, BRICK is a San Diego event space that isn’t pulling any punches. Want to guess the space’s signature feature? Yep—brick. Lots of it. Charming brick walls meet high ceilings and airy space. A touch modern, a touch shabby-chic. And with no noise ordinance, 24-hour availability, and a generous BYOB policy, BRICK is an event planner’s dream. 40 acres of edible gardens. No, this isn’t Willy Wonka’s vegetable factory. This is the Ethereal Open Air Resort, a sweeping property that includes a barn, a starlight lawn, a cottage, a manor, a chapel, and—get this—even a tree house. The perfect place to unplug for a vision rally or an employee appreciation party. Welcome to your personal clubhouse. 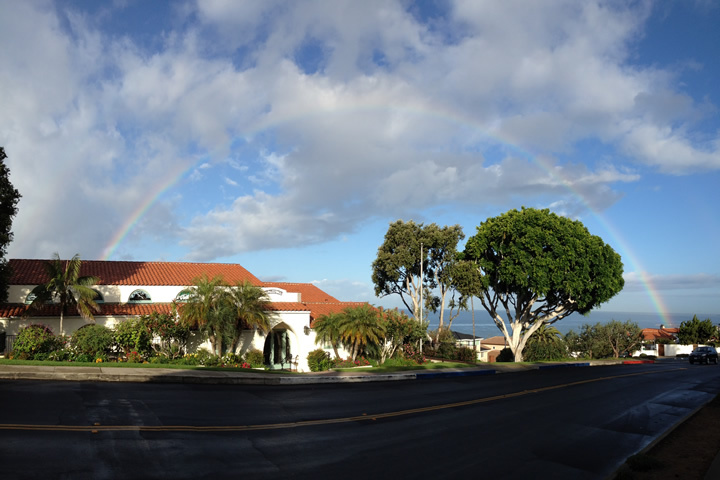 Located on half an acre of beachfront in Point Loma, The Thursday Club features a manicured landscape of gardens and a pristine clubhouse, complete with hardwood floors and chandeliers. This is the event space of every sports fan’s dreams. 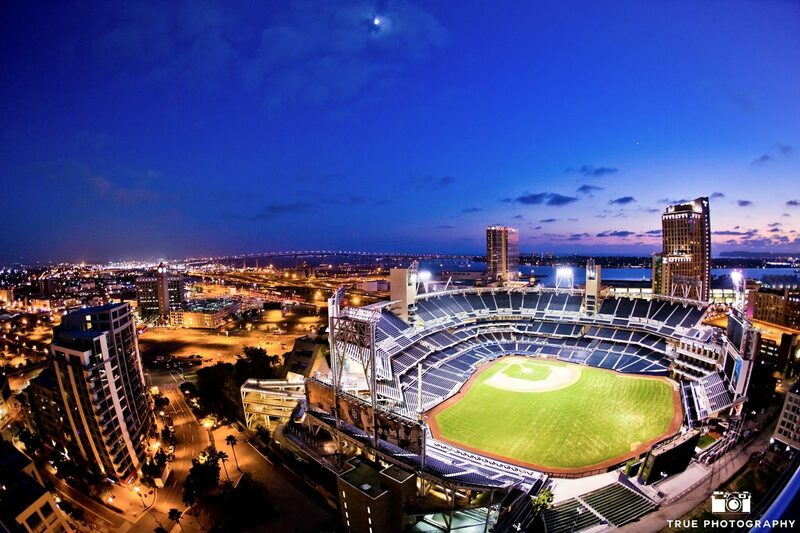 The SkyBox at DiamondView is a highrise, rooftop venue overlooking Petco Field. 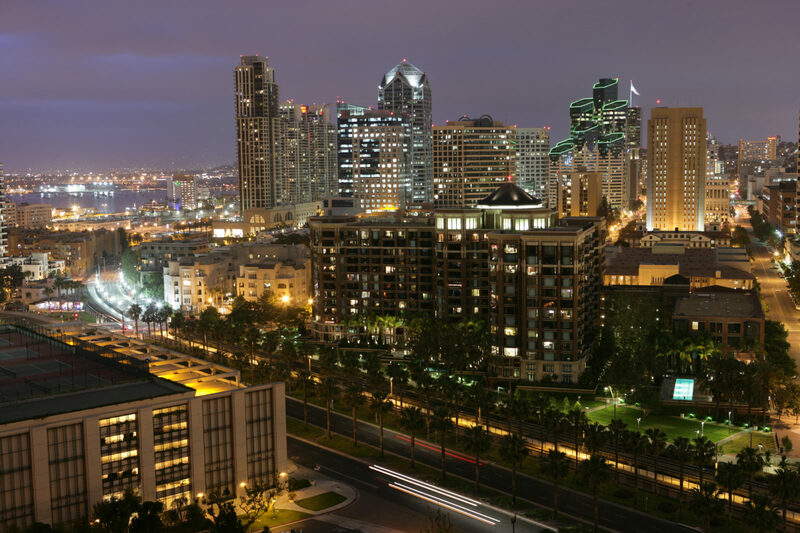 Serve up breathtaking views of the San Diego skyline as you treat guests to an aerial view of the Padres game—or, on non-game days, one very nice lawn. Wish you didn’t have to decorate? 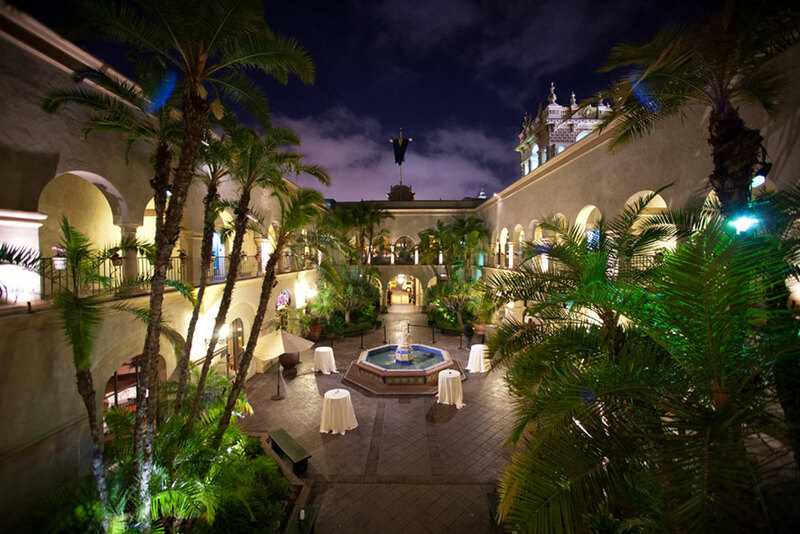 The Historic charm of Balboa Park is the perfect backdrop for your party. Elegant fountains, illuminated palm trees, and impressive archways are in abundance, and 5-star hospitality is routine at The Prado. This is the event space of choice for the classiest of evenings. For everyone who ever said, “why don’t we just have it at the beach,” Sea 180 is for you. The wide expanses you love about the beach, matched with the service and facilities of a well-appointed event venue. And did we mention the fact that Sea 180 is a full-service restaurant? 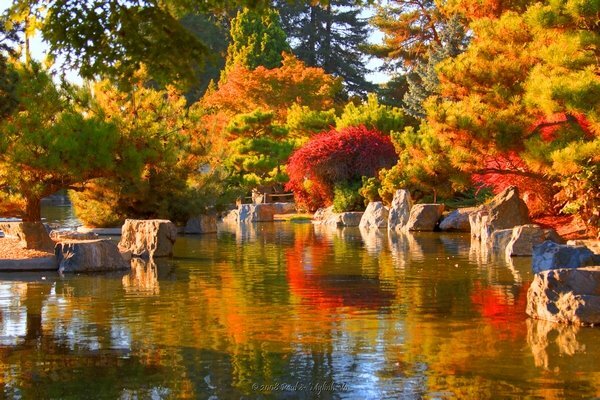 The Japanese Friendship Garden is a gorgeous backdrop of exotic plants, glimmering koi ponds, and beautiful architecture. 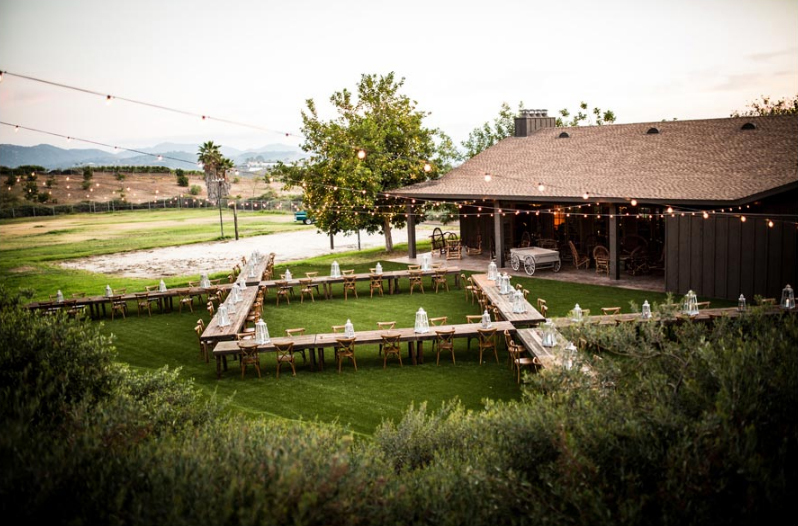 While the setting is an ideal location for most any event, its name makes it a must-book for the symbolic celebration of a merger or reunion. As a hotel, the Andaz is a great choice for events attracting guests from out of town, or those looking for additional turnkey amenities like meeting rooms or room blocks. And its modern look can be wrapped up in a single word: Energetic. No San Diego event list would be complete without mention of one of the city’s state’s country’s most iconic hotel properties: the Hotel del Coronado. 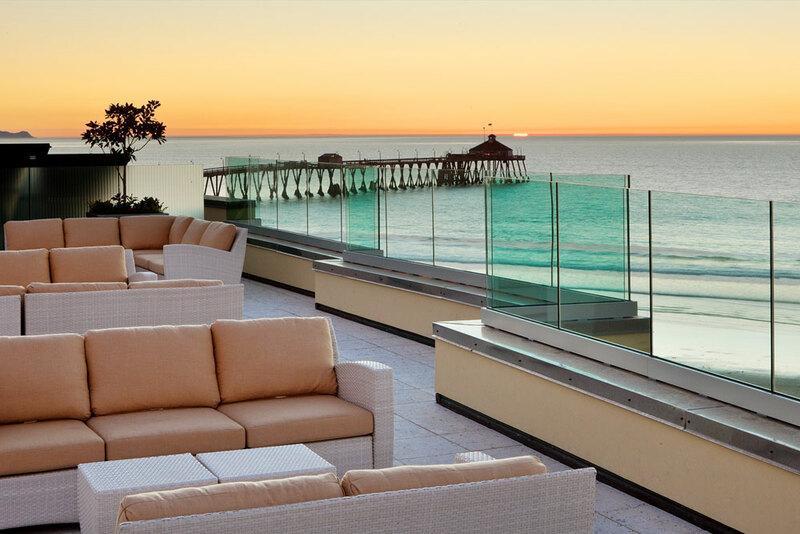 Hosting an event at “the Del” is about as traditional as you can get, and yet the property boasts amenities and offerings as modern as day.